Google Glass, remember that? A couple of years back it was the next big thing in tech but even its makers seem to have got bored of it in the last 12 months. But that hasn't stopped Tesco from boasting about being "the first retailer to launch a customer Glass enabled service". The app, which Tesco describes as "basic" (isn't that Sainsbury's tag?) lets existing Tesco online customers browse items, check out the nutritional gubbins and add things to their shopping basket. It's not the exciting real world AR experience you might be imagining. It's, therefore, about the most pointless use of Glass we've heard of yet and, despite being about 18 months late to the party, the miscounting retail giant, is pretty excited. Or a bit excited. Actually it seems like it's a bit nonplussed according to Pablo Coberly, innovation Engineer at Tesco Labs. “We don’t envisage Glass becoming the new platform for shopping as its functionality is different, and more immediate," he explained. Multi-device virtual shopping, that's definitely what people want. 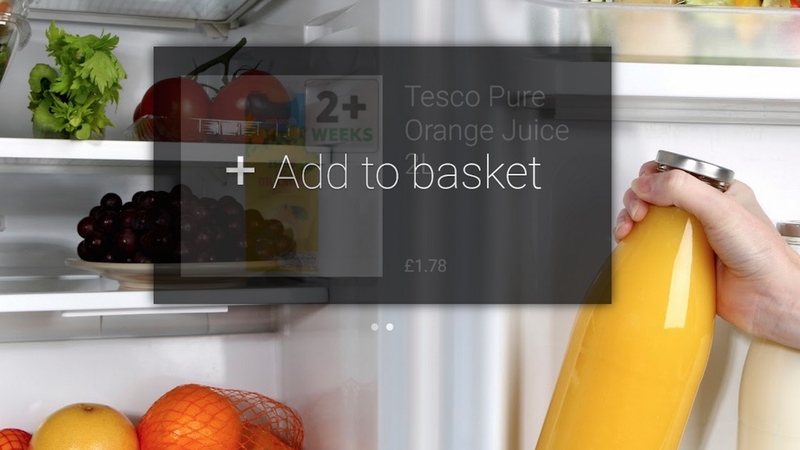 The Tesco Grocery Glassware app is free, and available now.